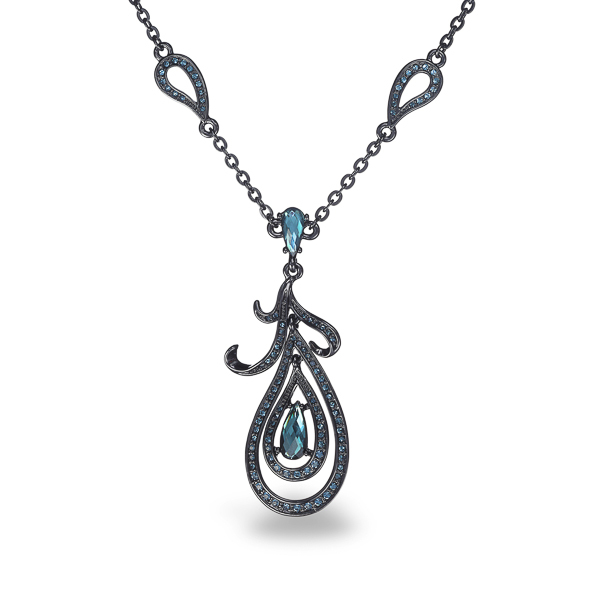 Description: Indian inspired tear drop design in black rhodium plating and montana blue diamond cut glass stones and crystals, creates this favorite Amabel necklace. A classic piece with a modern colors, she adds exotic elegance to any attire. Enter Quantity for N-AE007 to add to your shopping cart.